The 6C was a long-lasting Alfa Romeo model, having been built in a variety of different series between 1927 and 1954. What we have here is a 6C 2500, which were built between 1938 and 1952. It was the ultimate 6C model as the 6C 3000 never really went beyond the prototype stage. This 6C 2500, which is powered by a 2.4-liter straight-six making 90 horsepower, was delivered as a bare chassis to Pinin Farina in 1942 (along with 13 other chassis). 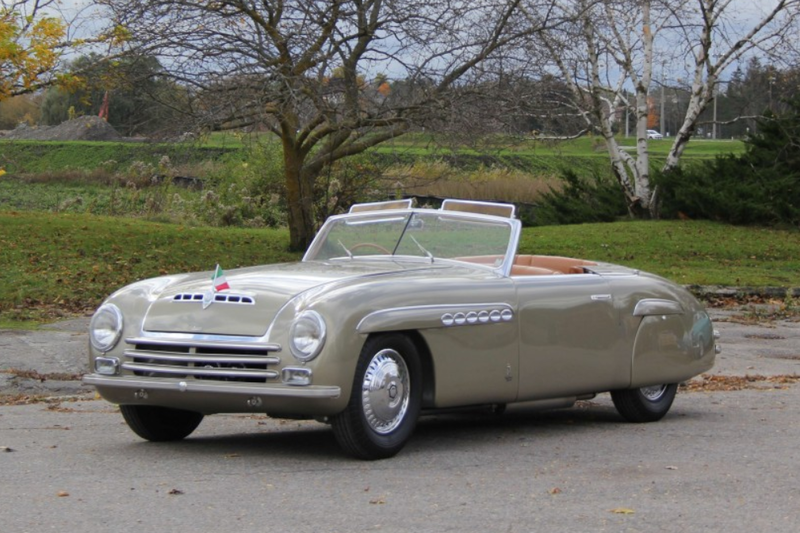 The first owner, a wealthy Milanese woman, had Pinin Farina body it for the first time in 1946. The body was an instant hit, winning awards at car shows upon introduction. It had a slew of American owners later on before being faithfully restored between 2008 and 2013. 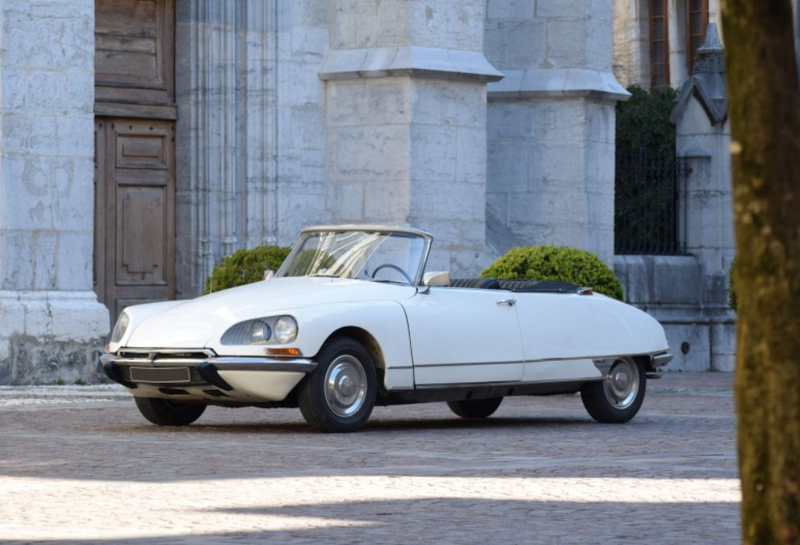 This is an extremely stylish car wearing a unique, one-off body that was way ahead of its time (for comparison, here is what the standard Pinin Farina Cabriolet looked like from this same era). As a rolling piece of art, this car is expected to bring between $1,225,000-$1,600,000. Click here for more info and here for more from Artcurial. Founded in Brussels in 1898, Compagnie Belge de Construction Automobile (which is the most generic company name you could have as an automaker in Belgium) was the product of two brothers: Alfred and Victor Goldschmidt. 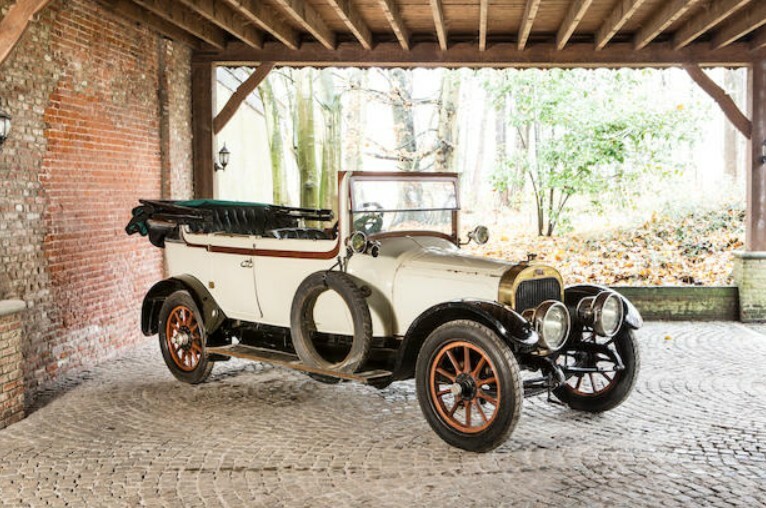 Rare and relatively unknown today, Pipe was one of Belgium’s largest auto manufacturers before WWI. Their factory was destroyed during the war and they didn’t attempt production again until 1921. But it wasn’t to be and their passenger cars disappeared after 1922. This four-cylinder car, as all Pipe’s were in 1913, is of unknown displacement but it may be a 16/20 hp car, based on its remarkable similarity to another Pipe of the same vintage. It is thought that this is a 1913 model, as that is what the [presumably] original registration plate says. And, because of that registration, it is thought that this car was delivered new in the U.K. – as Pipe did export a fair number of cars. It did spend some time under American ownership before coming back to the U.K. in the last 15 or so years. It’s thought to be mostly original but it has not run in some time. A rare example of the Belgian Pipe, this car should bring between $36,000-$48,000. Click here for more info and here for more from this sale. Unlike many of their peers, Bristol did not dabble in automobiles until after WWII. 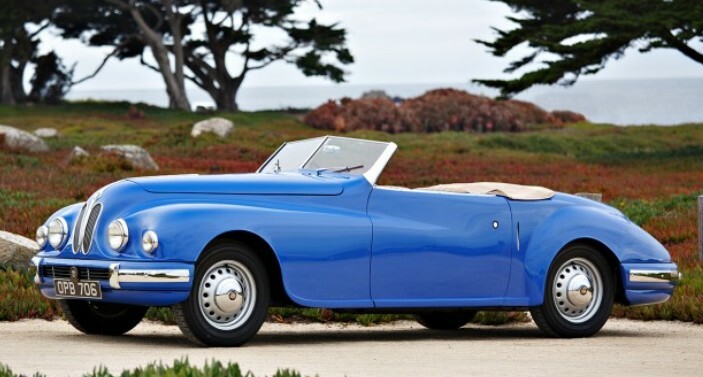 Known primarily for their airplanes, they produced their first car, the 400, in 1947. The followup to that car was the 401 Sedan in 1948. 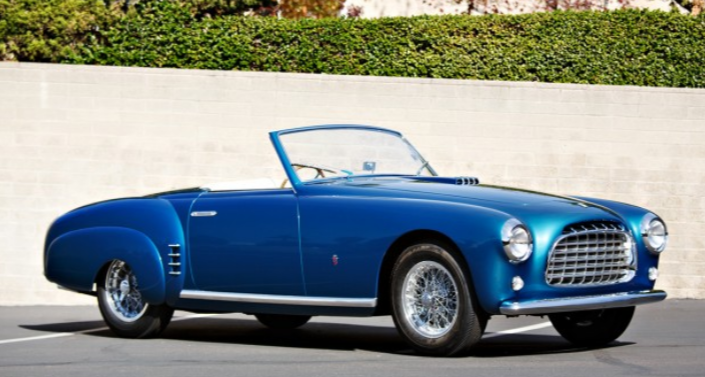 The following year, Bristol decided to build a drop-top version of the 401 and they called it the 402 Cabriolet. Some Bristol models have a sort of ungainly appearance to them, but this car is downright pretty. It’s powered by a 2.0-liter straight-six that makes 80 horsepower. It’s not quick, but it should do 90 mph. Sold new to a Thai Prince living in England, this 402 is one of just 26 built. It’s thought that as few as 13 are still around, which is pretty few… but then again Bristol has never been about building cars in any appreciable quantities. Restored just last year, this thing is fresh. It should bring between $425,000-$525,000. Click here for more info and here for more from this sale. British sports cars are known for being small and having cramped quarters for driver and passenger. The Jaguar XK120 was no exception. 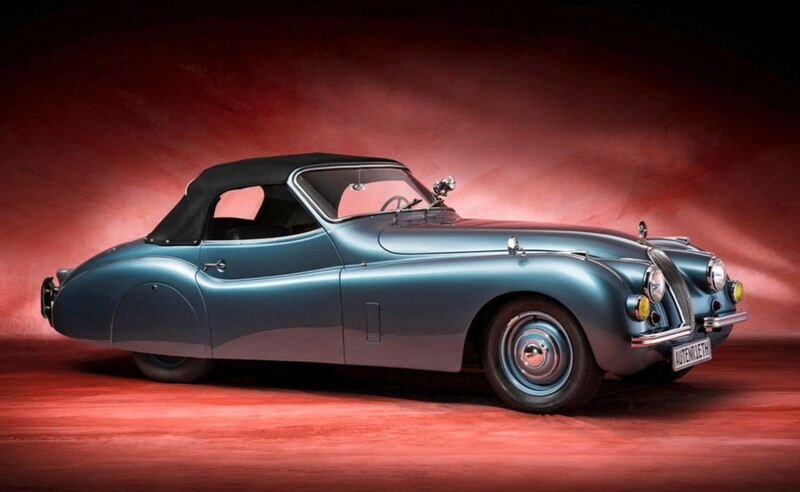 Introduced in 1948, it was Jaguar’s first post-war sports car and it was unlike anything else on the road at the time. It was powered by a 160 horsepower, 3.4-liter straight-six. The “120” in the car’s name referred to it’s top speed in mph. It was lauded as “the world’s fastest production car,” which was largely marketing B.S. as a pre-war Model J Duesenberg could supposedly do 130+ (but I guess that wasn’t classified as a “production” car?). Anyway, about those cramped quarters. This car was ordered new by a man in Frankfurt, Germany. He didn’t like the way he fit inside of it, so he shipped it to Autenrieth in Darmstadt and they built a wider body for the car, enlarging the passenger compartment to make it roomier. Strangely, the body was built in two halves by two different teams and then joined when placed on the car. If there was a reality competition show about coachbuilding, this is how it would be done. You can apparently still see the seam under the hood. Autenrieth planned to build eight of these, but this was the only one completed as it brought with it an immense cost. It may still look like a stock XK120, but it is indeed different. Discovered in 1990 after 25 years of disuse, it was restored between 1991 and 1994 and again between 2010 and 2012, when the original engine was re-installed. This one-off Jag will be one of the last cars sold at auction in 2017. Click here for more info and here for more from this sale. The modern BMW 335 is a six-cylinder car and a member of BMW’s 3-Series lineup. It’s a popular model, but it sits sort of near the bottom of the BMW range. But in 1940 the 335 was as good as it got (unless you hopped up to the sports car-only 328). Introduced in 1939, this model didn’t really get a fair shot with the war about to break out. It was produced into 1941 before passenger car production was halted. This car is powered by a 90 horsepower, 3.5-liter straight-six (hey look at that, BMW’s model name numbering system used to make sense!). Top speed, dependent on body style, was up to 90 mph. This model could be had as a four-door sedan, two-door cabriolet, or, as you see here, a stately four-door cabriolet. 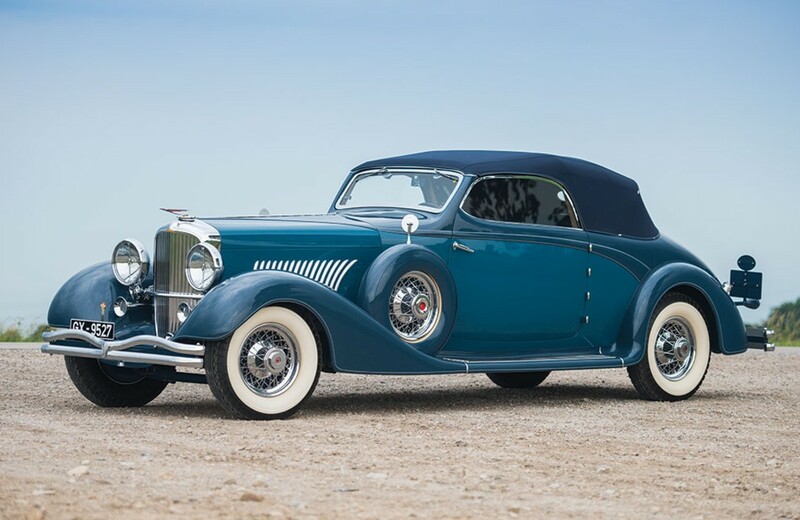 It seems like Mercedes-Benz (and even Horch to a lesser extent) always gets all of the spotlight when it comes to these Reich-era open-top Autobahn cruisers. 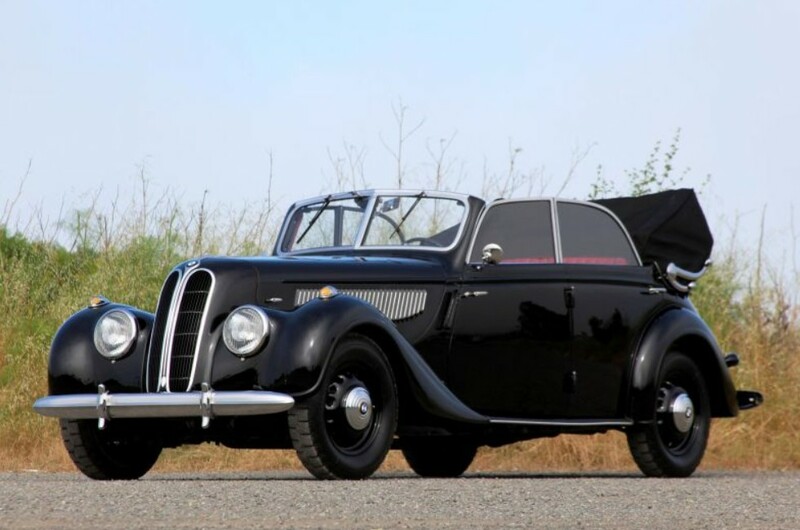 Pre-war, BMW rarely enters the conversation unless you’re talking about the 328. Part of the reason is scarcity. Only 415 examples of the 335 were built. Only five four-door cabriolets still exist (of the 40 built by this coachbuilder). Compare that to some of the Mercedes survival numbers and it’s easy to see why the Benzes always show up in films. This example was restored in 2007 and it still looks fresh. You have to wonder who was in a position to buy such an extravagant car in 1939 and what life it lived during the war. It was brought to the U.S. by a member of the military and it remained here pretty much ever since. This car marked a high point for BMW that they wouldn’t equal for quite some time. It’s currently for sale in California for $495,000. Click here for more info. 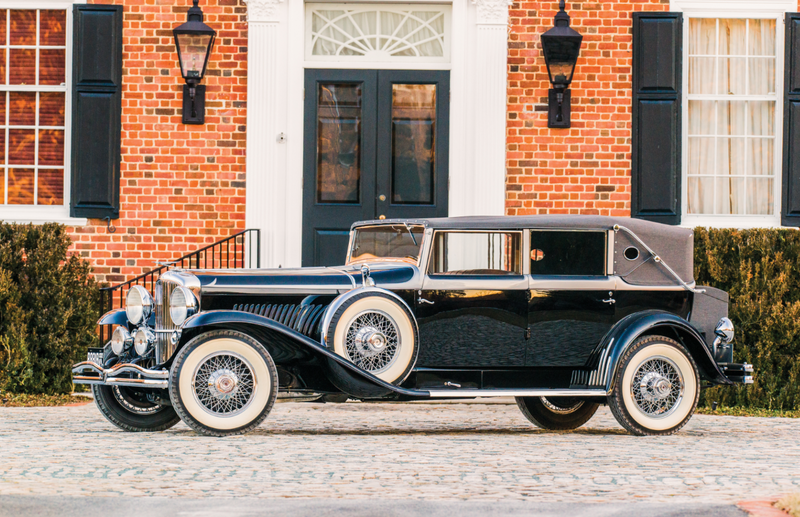 We’ve featured a lot of Duesenberg Model J’s – far more than any other model of car – in fact, we’ve featured nearly every Model J that has come up for public sale since 2011. But none of them look quite like this. This car was bodied by d’Ieteren in Brussels (with this being the last Duesenberg Model J bare chassis shipped to Europe, where it arrived in Paris before going to Belgium). 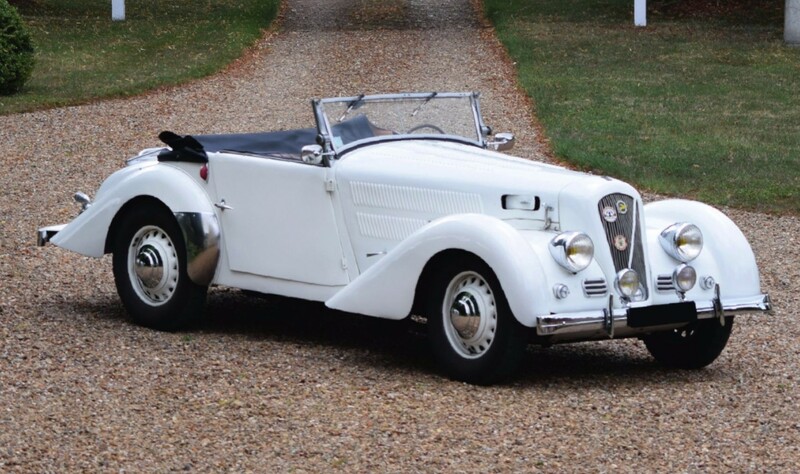 D’Ieteren traces their roots back to 1805 and they’re still in business – coachbuilding was just a blip on their radar. They managed to make this car looks small, modern, sleek, and sporty. It’s an excellent design. As a standard Model J, this is powered by a 265 horsepower, 6.9-liter straight-eight. J-519 came back to America after WWII. Restored for a second time in the late 1990s, the current owner acquired it in 2000. This is a big money car and as of this writing is among the most expensive cars that are on offer at this sale. Click here for more info and here for more from RM Sotheby’s in Hershey.